Seattle, Washington (The Hollywood Times) 12/6/18 – Robert is an executive entrepreneur with a passion for people and emerging technology—and more than 29 years of experience marketing and selling products to businesses and consumers. Since as far back as he can remember, he’s been fascinated by technological innovation, and he’s been fortunate enough to build his career around it. Before launching SoClean, ZiftrShop, and myVBO, Robert spent 11 years as president and executive vice president with PC Connection, a Fortune 1000 reseller of high-tech equipment. Over the years, he founded more than nine companies in the technology, computer reseller, and gaming industries. Two of his companies, Zones and Mac’s Place, grew to be significant players in the PC direct marketing industry before being sold. 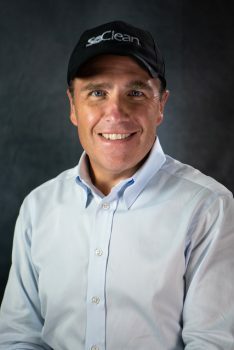 He holds two technology patents and two game patents and has several patents pending for software products that are being sold and marketed by his three existing companies. He also sits on a number of boards, from technology to medical device companies. He has the unique ability to think strategically in both a technology and marketing mindset and enjoys combining the two in various projects. He has a good track record of turning companies around and is consistently drawn to new challenges that allow him to take a hands-on approach and make a difference. 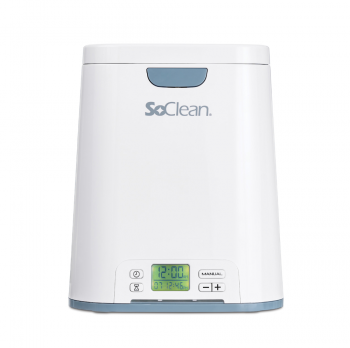 I had the pleasure of meeting Robert (Bob) purely by chance when I ran into trouble when trying to purchase a SoClean 2 device for myself. Bob was immediately on top of the situation and sent me my SoClean without haste. I love the machine, and the technology is incredible. Read the interview that took 30 minutes. Please note that the publisher of The Hollywood Times actually got one “because” of my interview with Bob. She and I both use a CPAP machine and since I’ve had mine, I’ve noticed not only a better sleep, but my sinuses are open. I’m happy with Bob’s invention and I know that you will too. 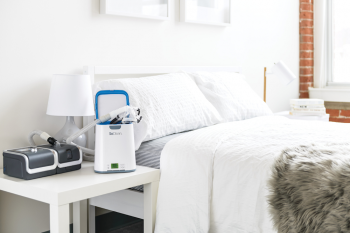 Sleep Apnea is a serious disorder and having a SoClean ensures that your CPAP equipment is clean, fresh and free from bacteria. PETER: Tell me what drove you to create the SoClean system, Bob, and also what was your passion for that? BOB: SoClean the company was born out of another company called VenMill Industries. I joined its board back in 2006. VenMill was in the business of making machines that clean Blu-rays, DVDs, and CDs with scratches, serving the GameStops and Blockbusters of the world. It was a small company, and we had some investors and decent revenues. But we as a board saw streaming video coming into play and recognized that the company would be going out of business at some point down the road. We had a company meeting and challenged the 30 or so employees in the company to come up with ideas. It was a pretty close-knit family; they had worked together for over 10 years. And about every two weeks, I’d go down and I’d get a business plan, and I’d look at the stuff they came up with. And either it was too expensive to get in the marketplace or there were too many players or the marketplace wasn’t big enough—you know, all the different reasons. After about six months, I was presented with an idea to clean CPAP machines. And my first response was, “What’s a CPAP machine?” I had no clue. We then did a whole bunch of market research on it. We had a really good IP people working in the company and realized that the market was pretty big, nobody had solved the problem, and it was a product that needed to happen. There were eight employees in the company at the time who were using CPAP machines. There was one engineer who was a CPAP user and had had experience with UV and ozone in hospitals. So we as a board decided to fund it. We spent the next year coming up with an automated machine that could clean the hose, clean the mask, clean the reservoir, and then make sure the ozone went back into the atmosphere as oxygen. That was one of the critical parts. That was the genesis. It was an employee idea, and they were rewarded well with stock in the company. PETER: How long did it take you to bring SoClean to market, and what challenges did you face in getting it onto the global stage? BOB: The first product that came out to market literally looked like a black box, and it had a mechanical timer on it. And if you opened it, you would have thought it was a bomb. I mean, it did not look the part. But it worked. All the basic components were there. And we went out to the DME channel—the durable medical equipment suppliers—and talked to them about picking up the product. We couldn’t get anyone to sell it. After a year, we had no resellers. The main problem was they didn’t believe you needed to clean a CPAP at all. We were able to sell a few units on our website. We’re talking 300 or 400 units a month—not very many. About a year into it, we had spent a lot of money and weren’t selling very many units. We almost gave up on it. What convinced us not to; was the number of handwritten reviews we were getting from customers who had the black box. 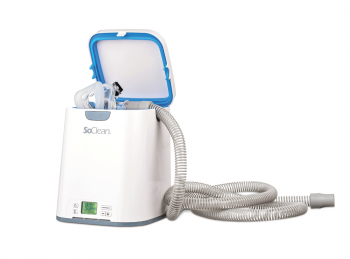 They were saying, “This is unbelievable,” “It’s changed my life,” and “I wasn’t using my CPAP machine as much as I was supposed to.” Before SoClean, they just didn’t get around to cleaning it. And if you don’t clean it, after a period of time, it smells. You’re going to bed at night, and you say, “Oh, I just won’t put it on tonight. I’ll clean it in the morning.” So it really was a game-changer. We kept looking at the customers and realized, this is a need. We’ve just got the wrong package. And so we poured out some more money, and we had it redesigned by an industrial engineering team in Boston. It took 18 months to get the redesign done and get the manufacturing going again. And then we brought that product to market in about year three, and that’s the SoClean you have today. Even with the new product design, we still had some complications getting it to the marketplace. We were eventually able to get the online resellers to use our marketing materials to educate their customers about the need to clean. Once we started doing that, the sales started taking off. So it took almost four years to really get it to move. PETER: That’s amazing. I think the really important point is that you didn’t give up. You had all these issues, but the one thing that kept you going was user reviews. That had to be an inspiration to keep moving forward. Was it? BOB: It was. A CPAP machine is an important part of people’s lives, unfortunately, and if you’re not using it, it’s a health problem. There are two reasons people tend to not use them: It can be uncomfortable until you play around with the mask, and the cleaning. It’s just a hassle. And so if we could do that for people, we felt it was worthwhile. I mean, I can’t tell you—some of the reviews were wild. One woman wrote in, “I knew it was working because my cats used to lick my mask all the time because I wasn’t cleaning it.” All the happy faces and cards that came in, and on and on. For the number of units, we had sold, the number of people writing in…it was pretty incredible. PETER: As a user myself, I’m totally sold. I don’t think I can live without it. Doing the distilled water and white vinegar, and soaking everything, was a pain. I just didn’t have the time, and it looks like it’s not working, and you spill it everywhere, and it’s horrible. You’ve done it, man. This is really it. BOB: Harvard put out a study recently on CPAP cleaning and issues around it, and even they said the soap-and-water method doesn’t work to sanitize the whole system. And if you use harsh chemicals in the hoses, it actually starts creating a more porous material, and even more, bacteria can build up. So this is the right way to do it. Using ozone effectively is the best way to do it. PETER: You did a great thing. Let’s switch gears. Tell me about your tech life before SoClean. What did you do with PC Connection and all the other companies you founded and sold? BOB: PC Connection was a mail-order company. I was in Seattle and had a competing company called Zones, which is still around today doing software/hardware reselling and cataloging, as well as Mac’s Place, which we ended up selling to Egghead Software back in 1994. I had gotten to know the two owners at PC Connection. They had almost bought my prior two companies. And they asked me to move to New Hampshire to help them out. PC Connection was about $250 million in 1995 and losing money. A couple of executives and I came on board and were able to right the ship and get the sales going. We took it from $250 million to $1 billion in revenue in four years and then took it public. It was a fun ride, a lot of growth. I was there as president for 11 years and left when it was about $1.6 billion. A lot of things I learned there certainly have helped me in helping SoClean navigate its way over the past eight years. PETER: What advice can you give up-and-coming future CEOs about creating companies and creating and maintaining wealth? BOB: It took me a long time, starting a lot of companies, a lot of pitching venture capitalists, a lot of raising money and going through failures and successes to realize that, if you’re pitching your idea, 90 percent of the people are going to think it’s a dumb idea—because if it were easy, they already would’ve done it. And so your novelty or whatever you came up with, you can’t let the doomsayers get to you. It doesn’t mean you don’t listen to them and look for cracks in your idea. But if you still believe you’ve got something, you’ve got to keep going at it. No success happens overnight. We only see the successes after they become successes. We heard about Facebook six years after it had already gone through a lot of iterations. Same with Google and everybody else. So I think it’s getting through those years, and self-evaluation absolutely plays a role, 100 percent. But if at the end of the day you still believe in it, then you should keep on doing it. PETER: For me, a lot of things changed because of my attitude. To be honest with you, I was hurting for a couple of years until I weaved in one statement: “It’s your attitude, not your aptitude, that determines your altitude in life.” Do you believe that? BOB: I totally agree with that. You know, you write business plans, you do things, but at the end of the day, people buy in on you. And if you’ve got a negative attitude or if you’re not coming across with confidence, people aren’t going to buy. I remember a pitch I did years ago on another one of my companies. It was in front of a really large audience in Boston, and there were three other pitches happening that night. I got invited in at the last minute. People were supposed to have 20 minutes, but I got there and the guy said, “You’ve got five minutes.” I threw out the deck I had prepared and just went into excitement mode. I had a good vibe about me; I believed in what I was doing and where I was going to go. They talked it over, and I won the pitch and got the investment into our company. Everyone else had all this stuff up there, but at the end of the day, it wasn’t what I showed. It was my belief in what I was doing. PETER: As a business owner, dreamer and entrepreneur myself, the biggest obstacle is finding money. You have a great idea, a dream, but you have zero money. The hardest thing I’ve found is finding that one person who will believe in you and give you a shot. What do you suggest that future business owners need to do to find investors, real investors, who will believe in you? BOB: The first thing you have to do is put the math down. What’s your real capital need for 12 to 24 months—not your capital need for 10 years. People are trying to put down a minimum amount of money to get you to the next stage. So understand what you’ve got to have and how far it’s going to take you. And then, based on that need, understand who you have to go to. If you’re looking for a couple hundred thousand dollars, you’re not going to venture capitalists. Understand who the players are, what the difference is between an angel investor, family/friends investor and a venture capitalist. It’s understanding how much you need and who are the right capital markets to approach for that need. And you can do that easily on the internet. What are angel investors looking for, what percentage of the company, what’s the typical thing? They all follow a model. It’s pretty simple. And then what are the private equity investors looking for? Once you figure out your sector, look for the investors in your sector. Not every VC is investing in medical. They pick markets they understand. And then just narrow it down. Once you’ve done that, look at your LinkedIn profile and see if you’ve got anybody who can make a connection for you. PETER: There has to be a lot of paperwork when you do a business plan. Is there something you use, a piece of software or something, that can help make it easier? BOB: My first business plan I wrote when I was 21 was about 300 pages. And the last business plan I raised money on was five pages. BOB: You have to get it down to what’s called an elevator pitch. Imagine you’re in an elevator with Richard Branson. You have seven seconds to get him to think he wants to talk to you some more. What are you going to say? I hate that investments are made that way, but it’s all about getting someone’s attention quickly. And it’s usually math: Here’s the quick idea, here’s why I’m different, here’s the math around it. This investment will put out this amount of money this quickly. You don’t give them a big spreadsheet with 50 lines on it; they don’t want that in the pitch. That’s the due diligence phase. That comes after you’ve got them interested in your idea. PETER: I understand you own a patent on games. Are you a gamer? BOB: I’m a board gamer. I played Monopoly and all the board games when I was a kid. And in fifth grade, we came up with an idea to make Monopoly more fun, and it was basically putting a board inside a board and having a little bit different routine. It actually made it faster. About 15 or 20 years ago, we got a patent for movement between two boards and a patent on the way the dice roll. PETER: Do you spend time playing board games or video games anymore? BOB: I’m a heavy Clash of Clans person. I’ve been in an international clan for 3½ years. And then at Christmas, I will play games with my kids, who are in their 30s. We tend to find a childhood favorite PlayStation game or something like that. I grew up with them playing Mario and Crash Bandicoot and those types of things. And then my son and I play a war board game, usually every Christmas, that takes three or four days, called Axis and Allies. So he and a couple of buddies come over and we set up the board, and it’s worse than poker. But that’s our Christmas fun. PETER: You know what I used to play? Remember Stratego? BOB: Oh, yeah! I’ve got Stratego at the house. PETER: I love that game! My son and I play Battleship, the kind where you put the pegs in. It’s still fun. And he loves beating me at chess. He’s only 11. BOB: Board games are great. I think it’s more personal than video games. PETER: We play UNO together, and he just nails me at chess. Anyway, last question: After everything you’ve done, what’s next on your plate of creation for the world? BOB: I got into blockchain technology about four years ago, and one of my companies is developing a blockchain security and payment method system. A company called ZiftrShop. And they’re pretty close to releasing a platform for merchants to be able to put their products up on the web and use blockchain for more secure transactions. So I’m on the board there, and we’re pretty excited about that. PETER: Thank you, Bob, for spending time with me today, and I wish you all the best in the future. 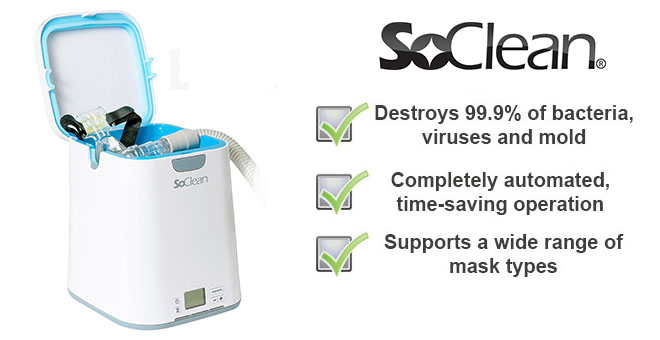 For more information visit: www.soclean.com.